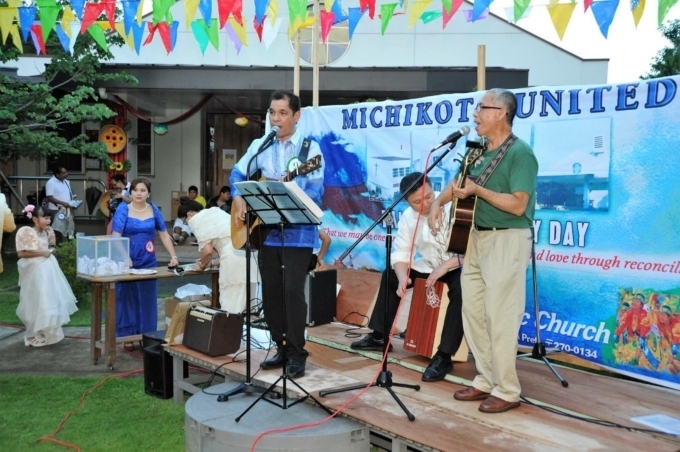 Tomorrow,The St.Michael Festival Bazaar will be held at Matsudo Church. 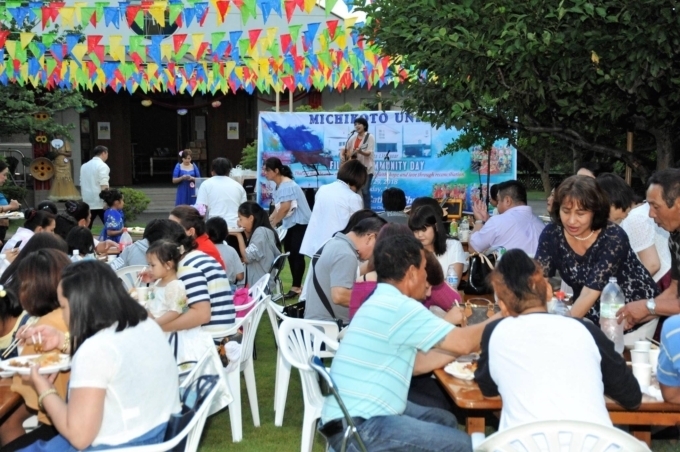 A bazaar has many small shops.Of course we will open,too!! 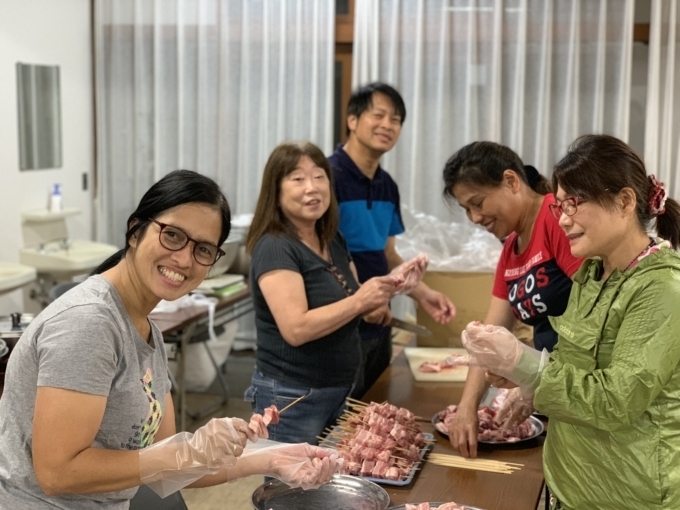 We prepare for our famous pork barbecue. 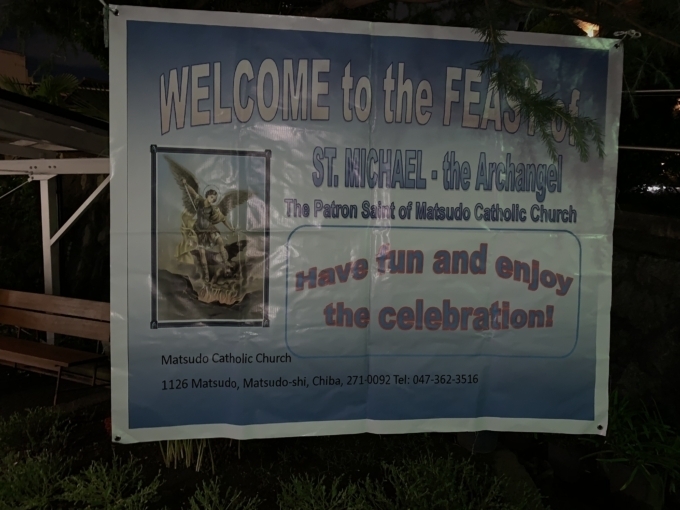 Some members of MCCIC decorated the hall for tomorrow’s feast!! 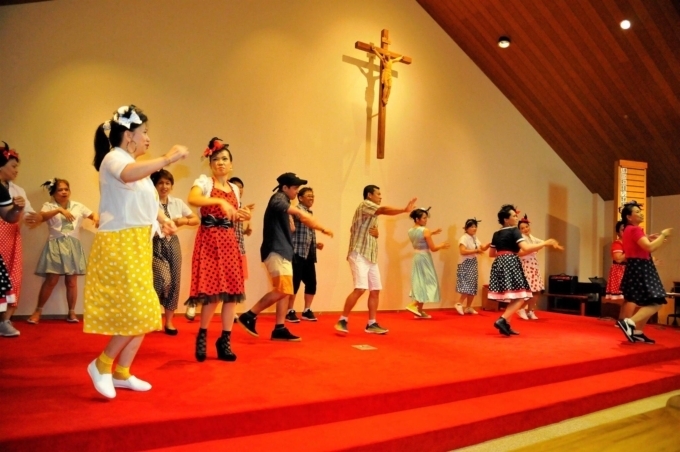 On tomorrow,We will dance in party after mass. 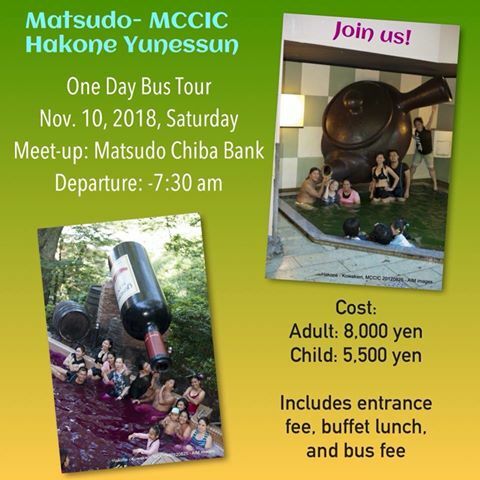 Please Join us “One day Bus tour”! 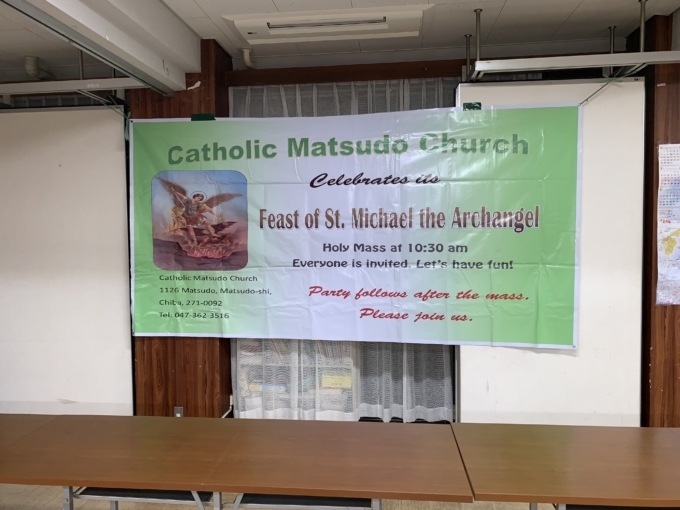 If you know with detail,Please contact MCCIC(Matsudo catholic church International Community) Member!! 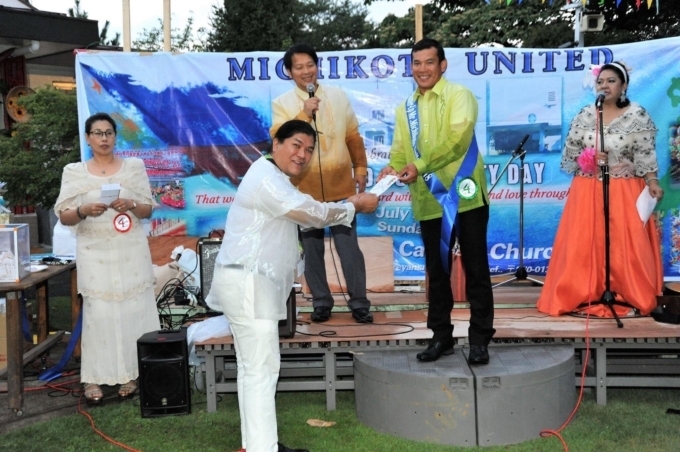 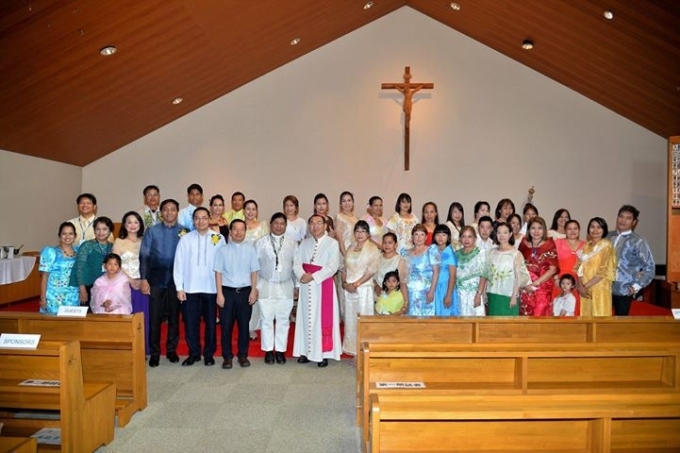 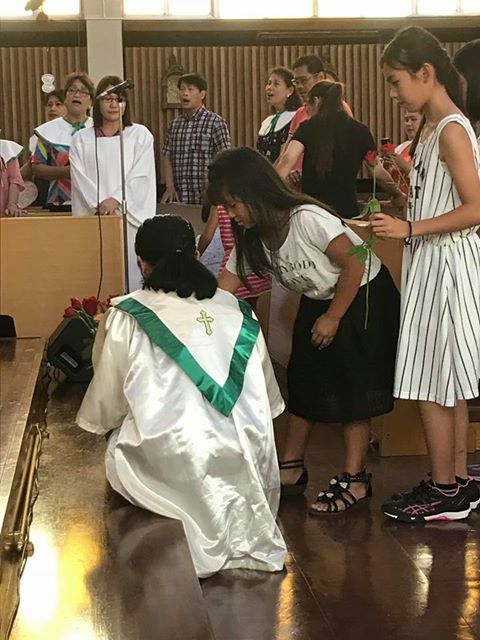 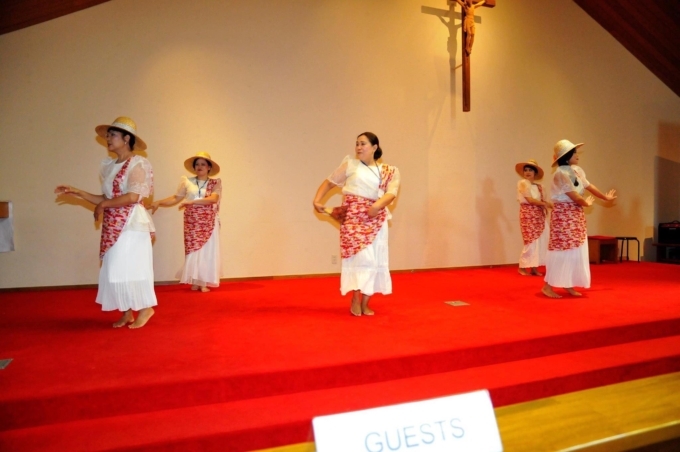 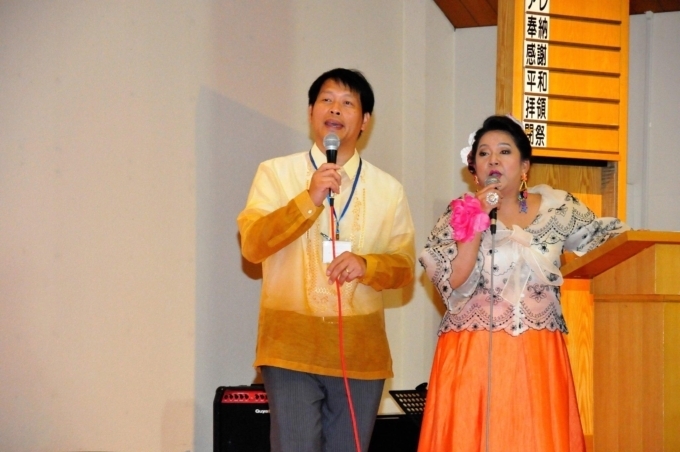 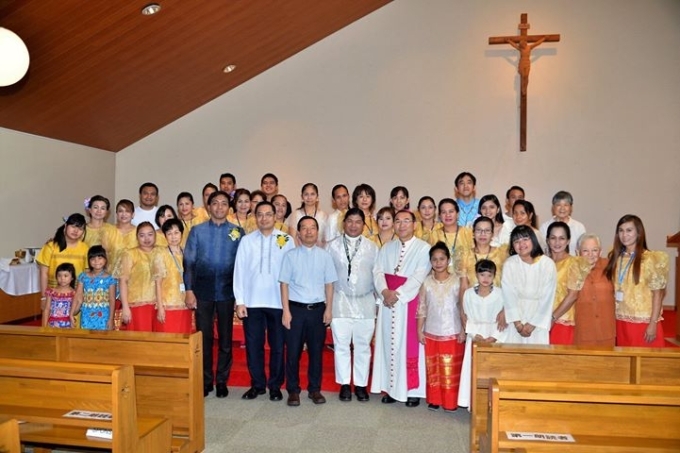 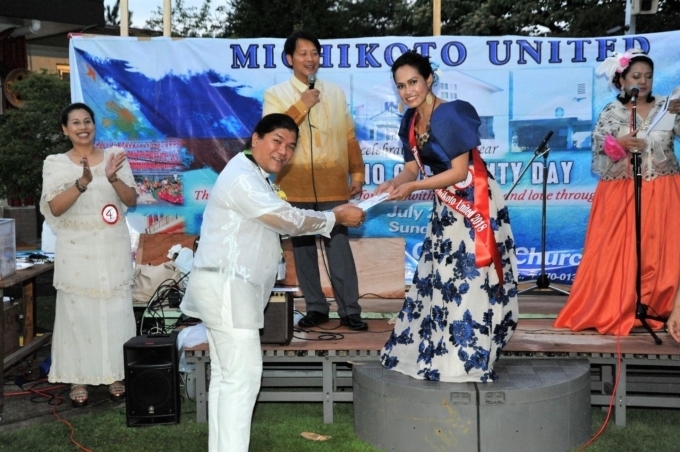 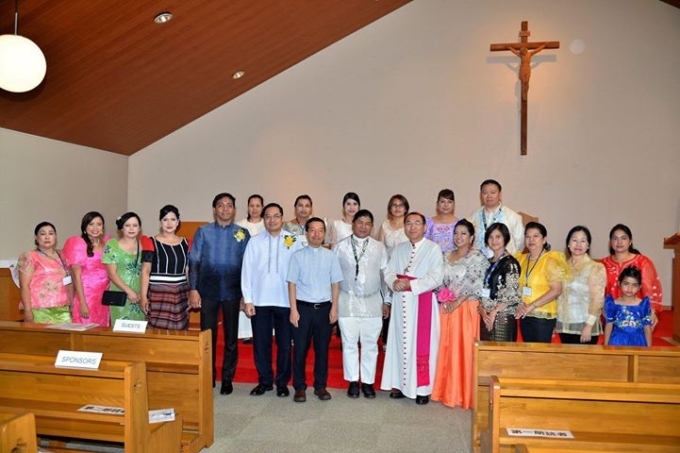 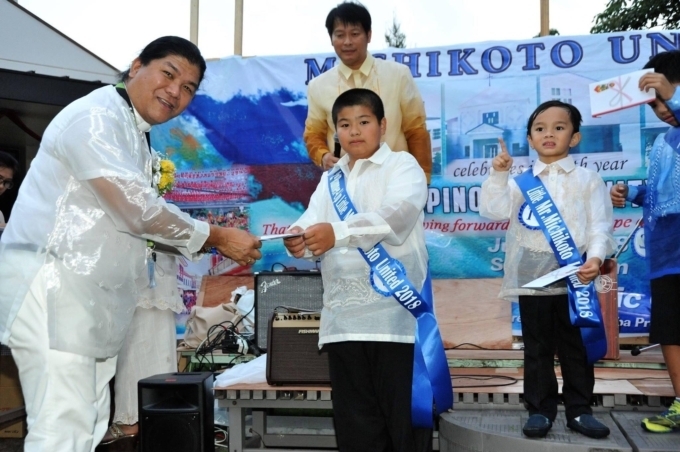 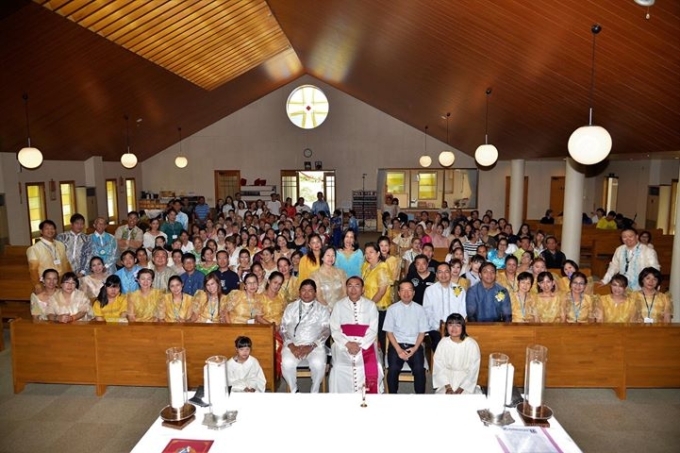 On July 29, 2018, The Michikoto United celebrates their 13th year Filipino Community Day at Toyoshiki Church, as the host for this year. 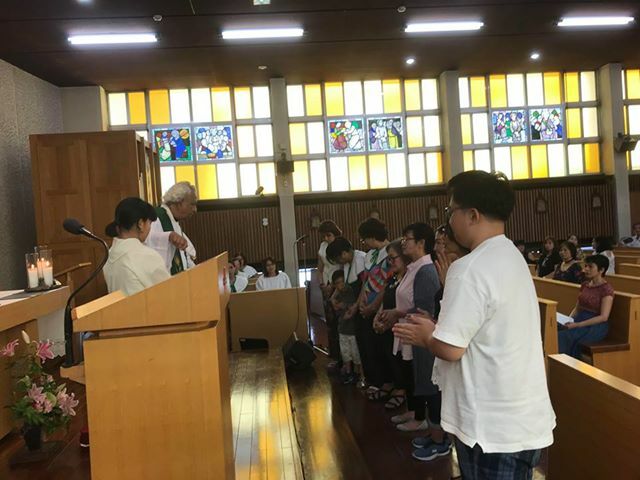 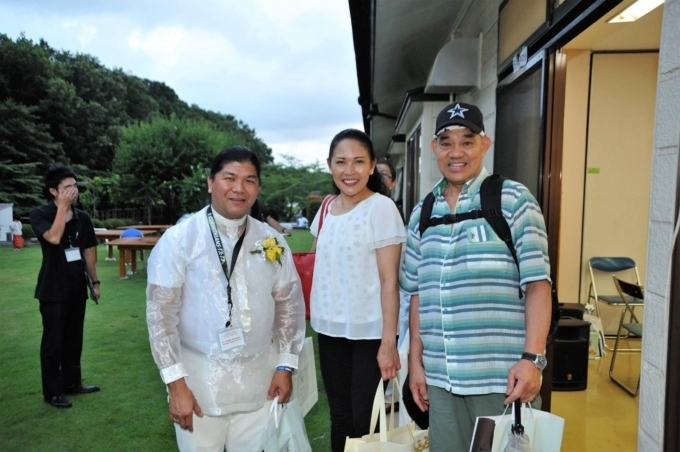 The event was graced by Archbishop Tarcisio Isao Kikuchi, SVD, the archbishop for the Tokyo Archdiocese being the celebrant of the Holy Eucharist with Fr. 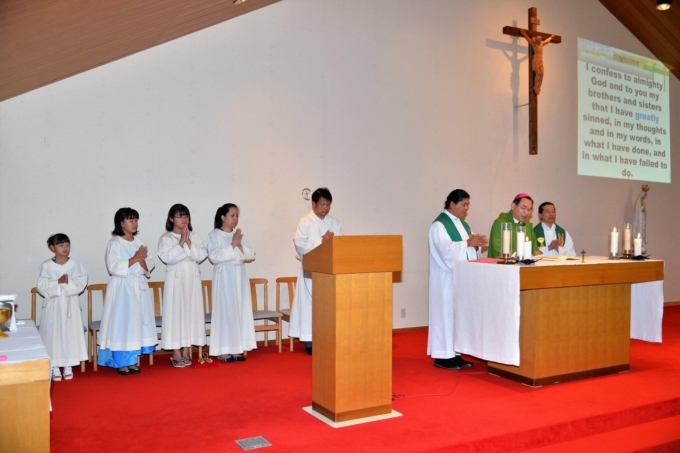 Masakazu Tachibana, the Parish Priest of Toyoshiki church and Fr. 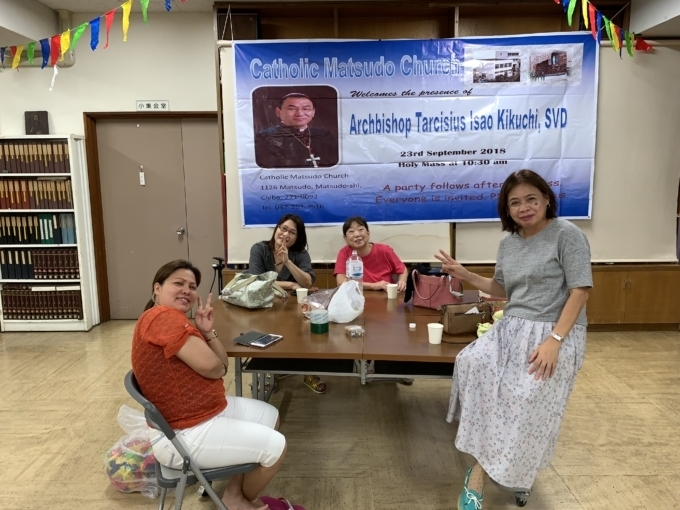 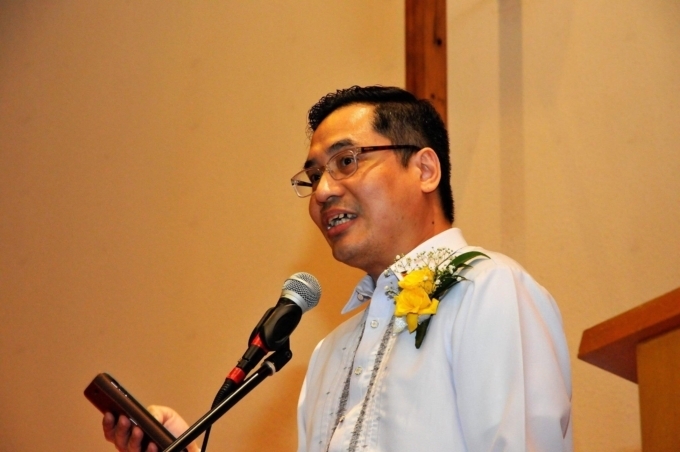 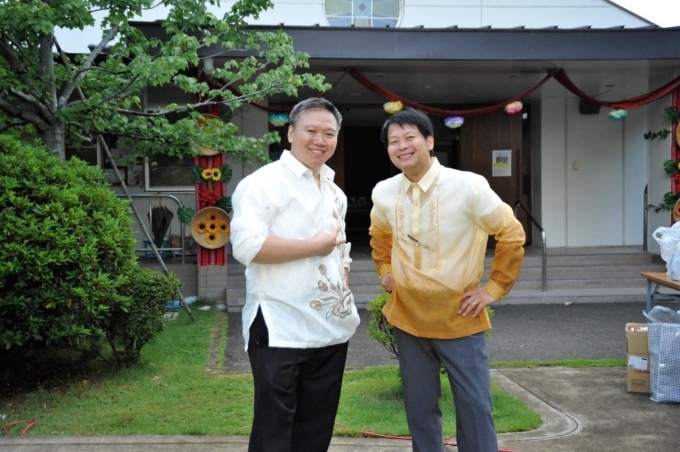 Philip Ilio Bonifacio, SSC of Matsudo Church, also the Founder and spiritual adviser of the group. 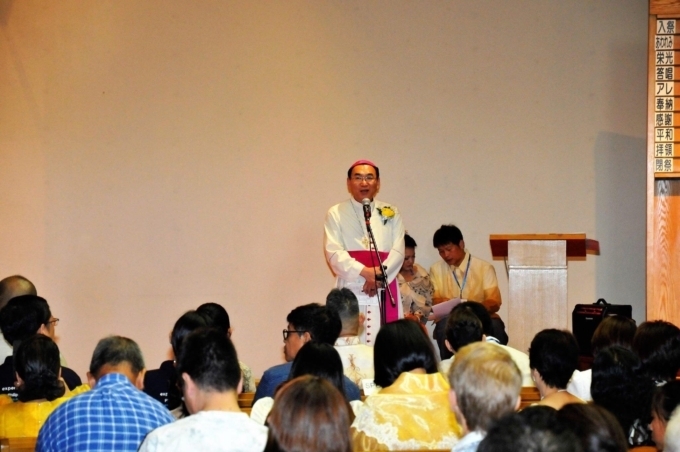 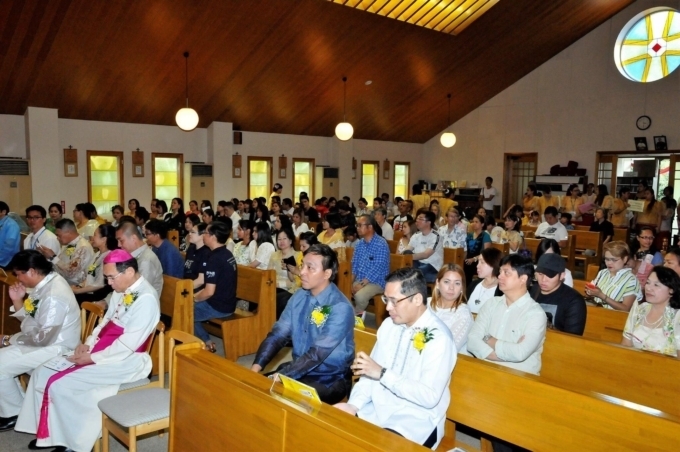 There were around 250 people who came to witness the event. 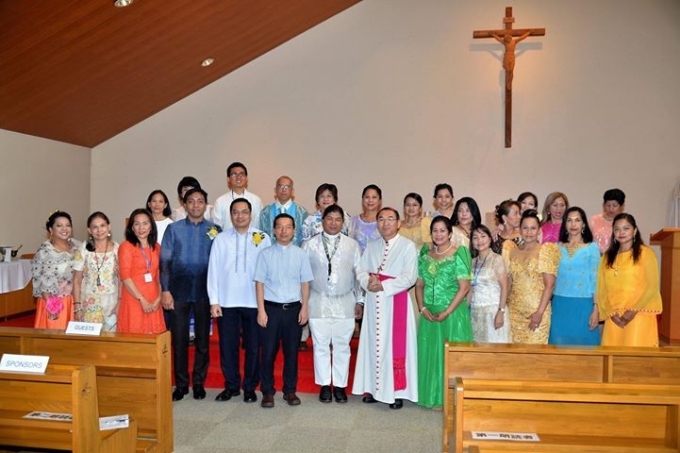 The celebration started with a quick photo opportunity with the Archbishop Kikuchi and the presence of Minister Robespierre Bolivar, the Consul General of the Philippine Embassy by communities. 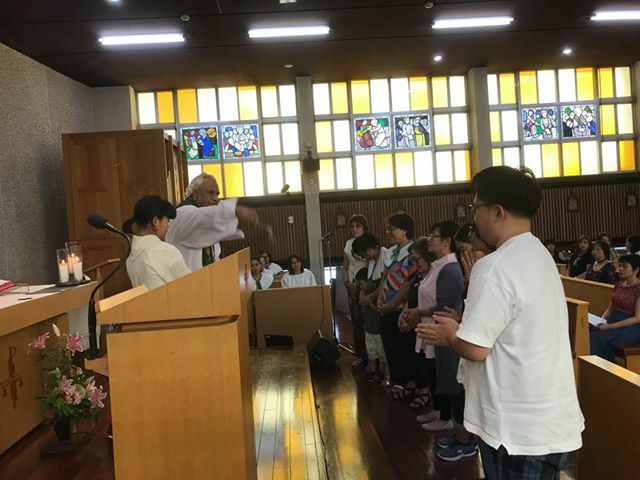 A very solemn Holy Eucharist started at 2pm. 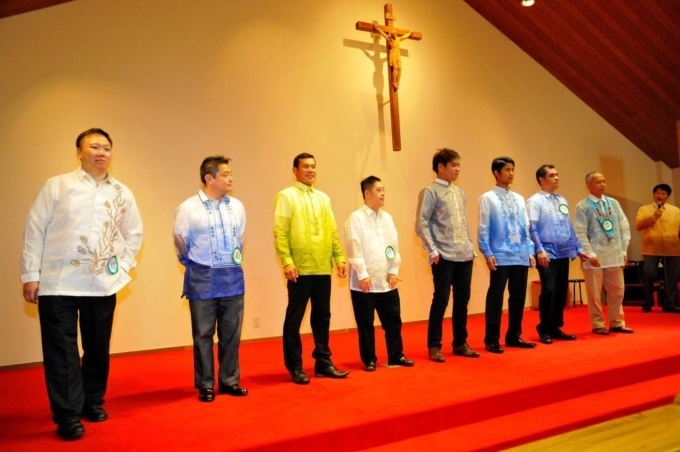 The prayers of the faithful were said in 8 different dialects of the Philippines. 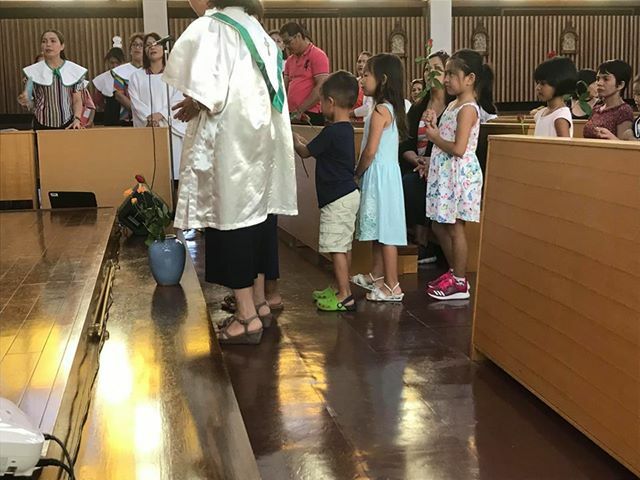 After the mass, part 1 of the program proper started with the Philippine National Anthem, invocation, a welcome address by Fr. 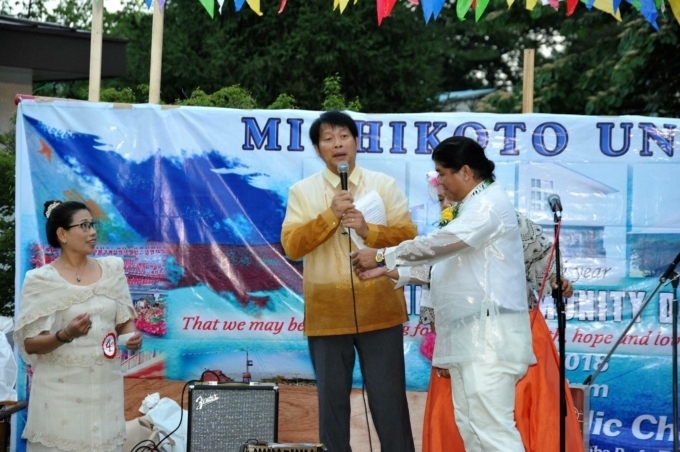 Philip and inspiring opening remarks given by Min. 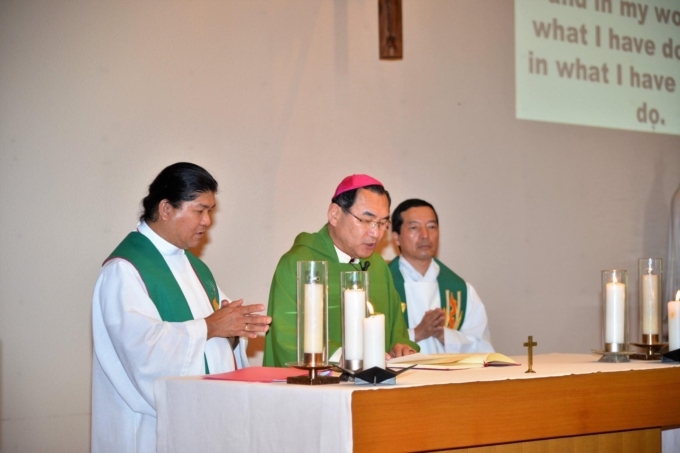 Bolivar and Archbishop Kikuchi. 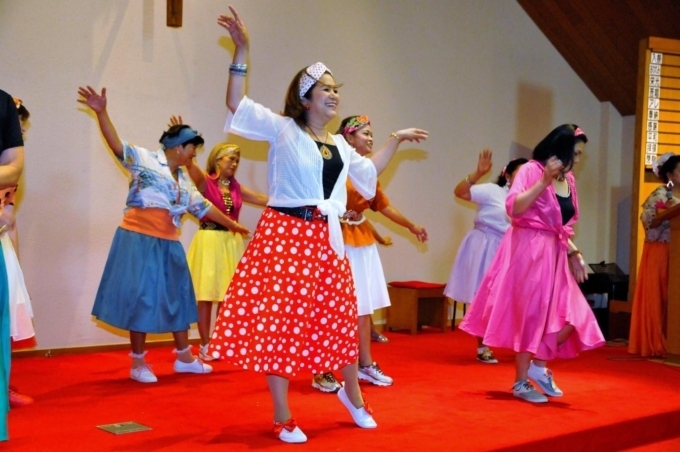 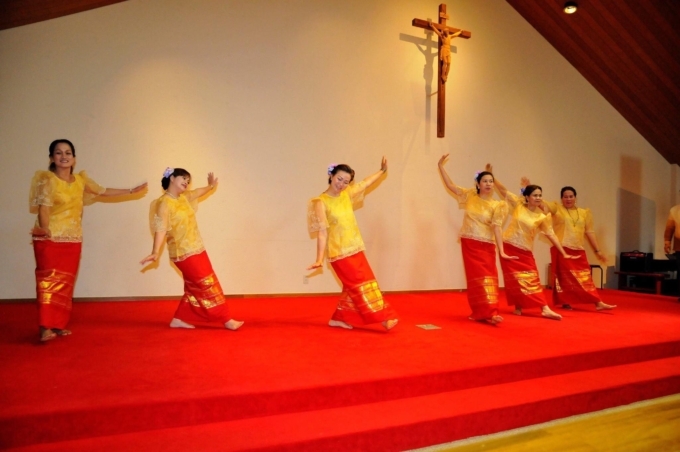 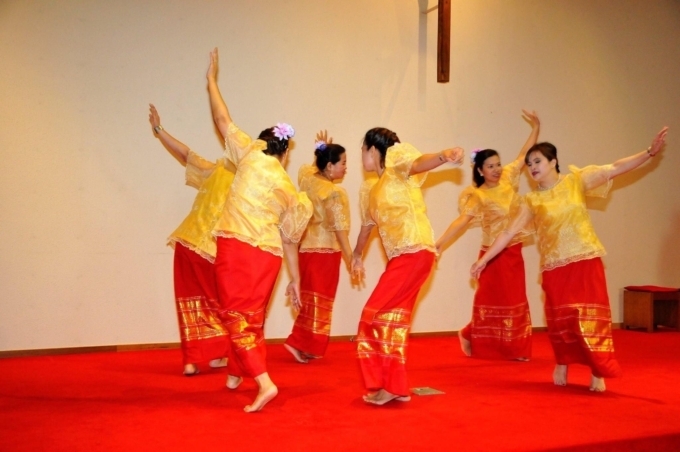 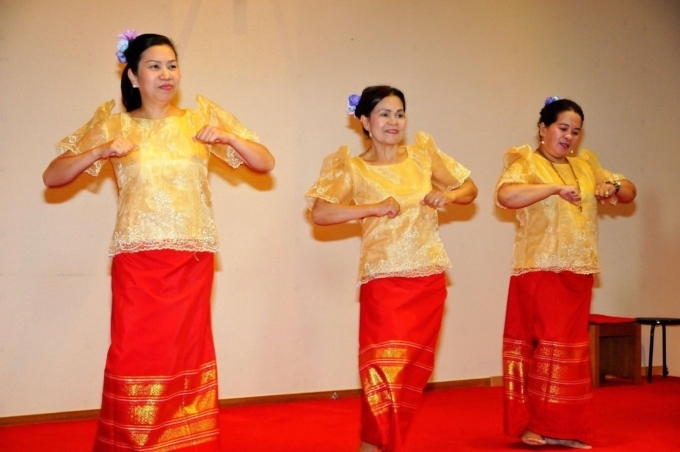 Different dance presentations were performed by each community. 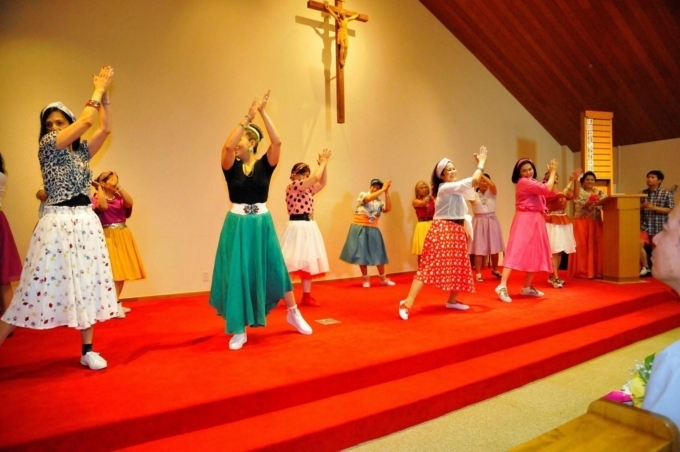 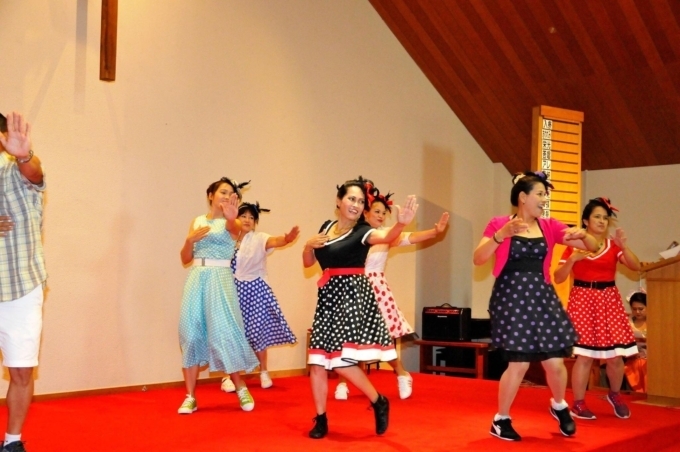 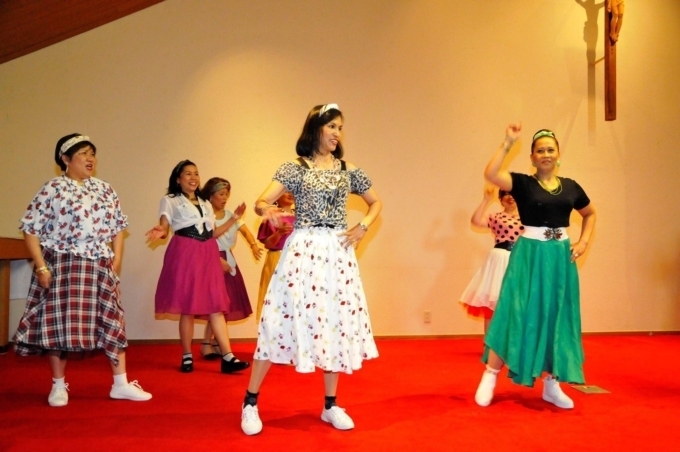 Two cultural dances- Itik-Itik (performed by Toyoshiki) and Subli (performed by Koiwa community) and 2 modern dances of the sixties performed by Ichikawa and Matsudo communities. 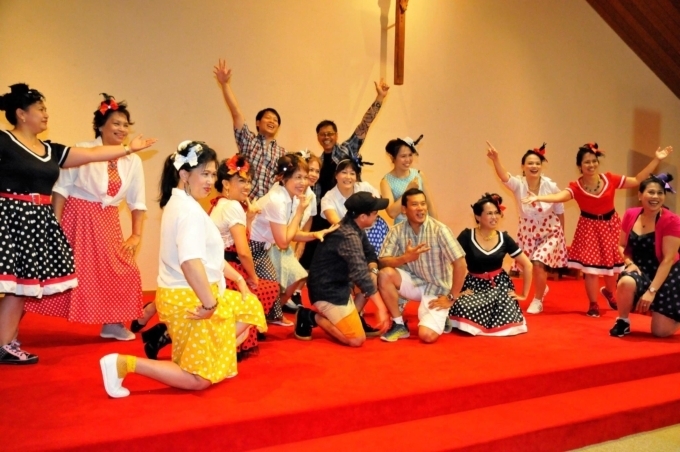 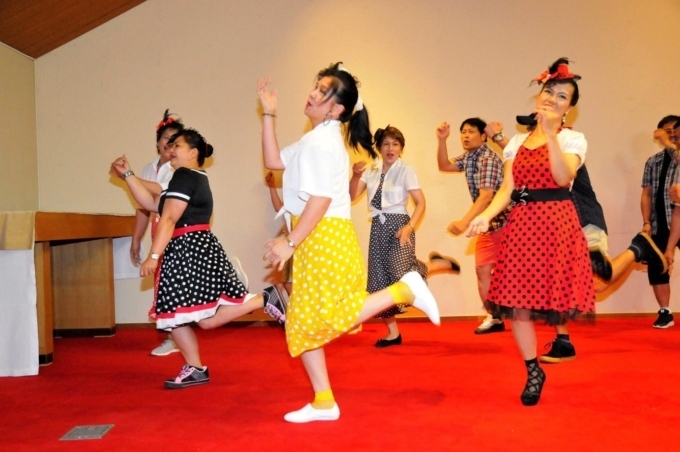 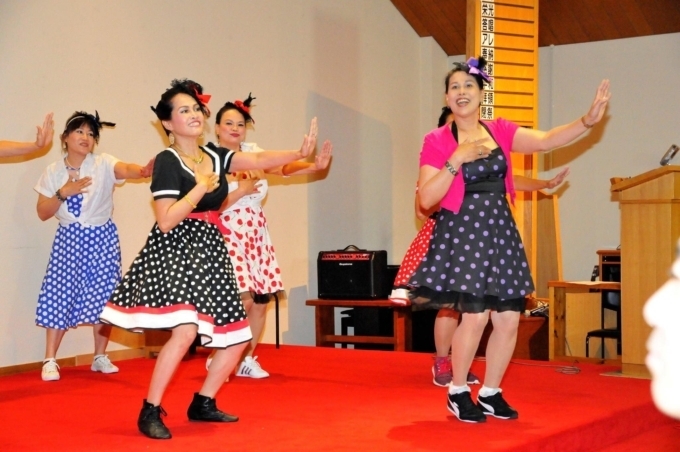 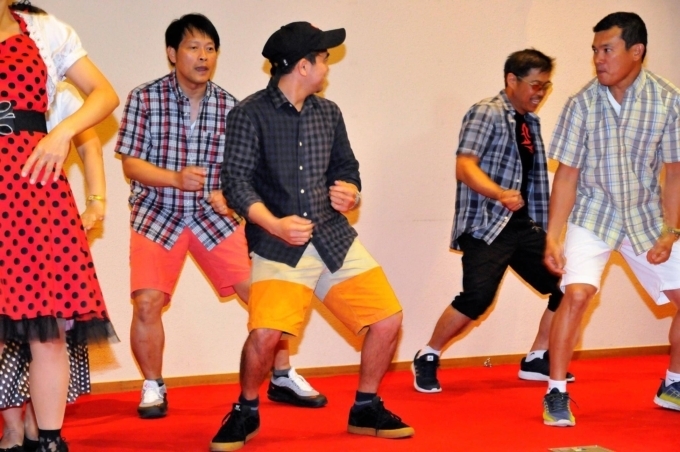 The audience were amused especially with the “Oh Carol” dance by Matsudo community. 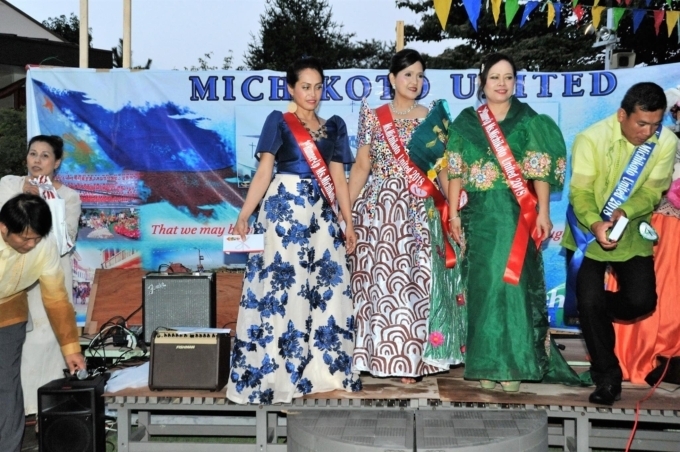 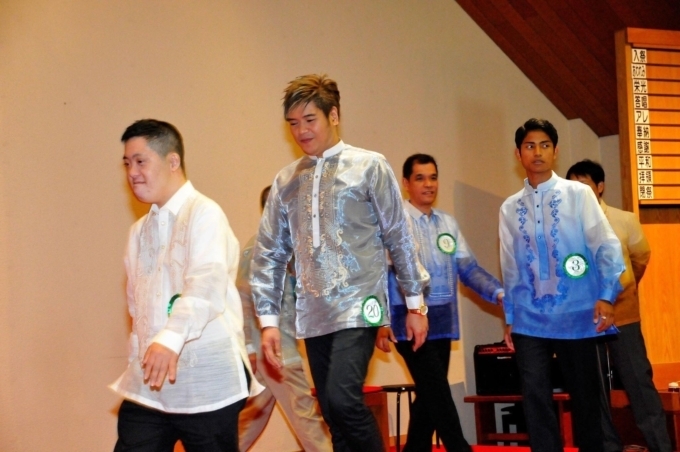 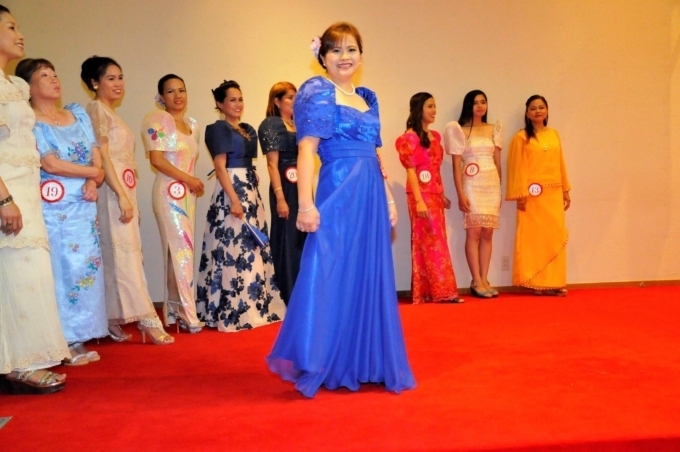 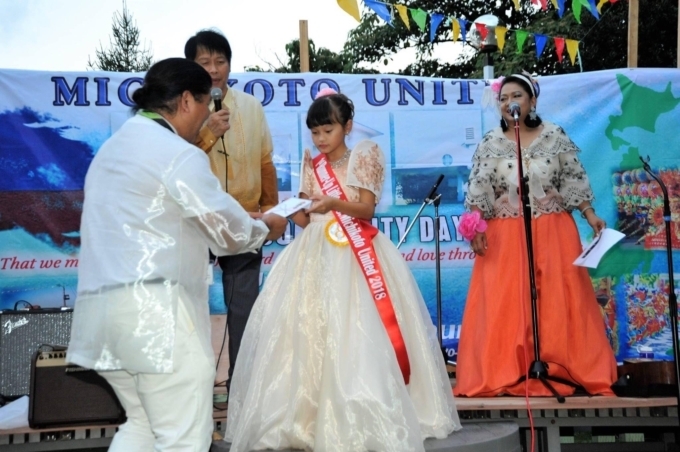 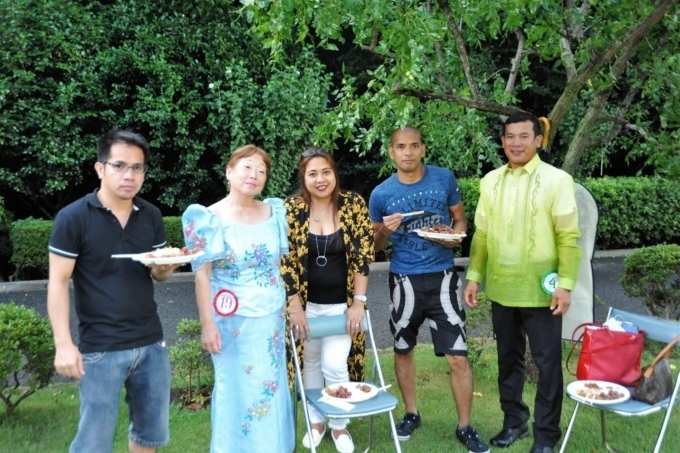 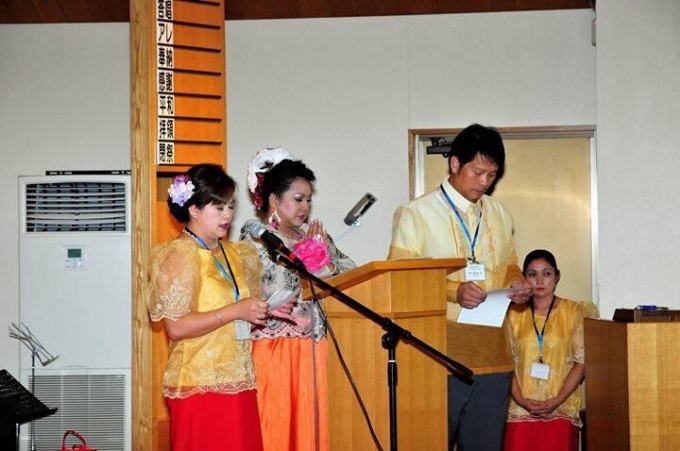 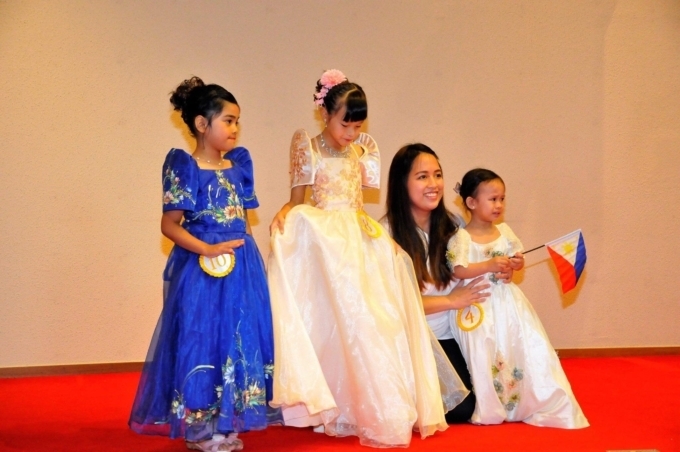 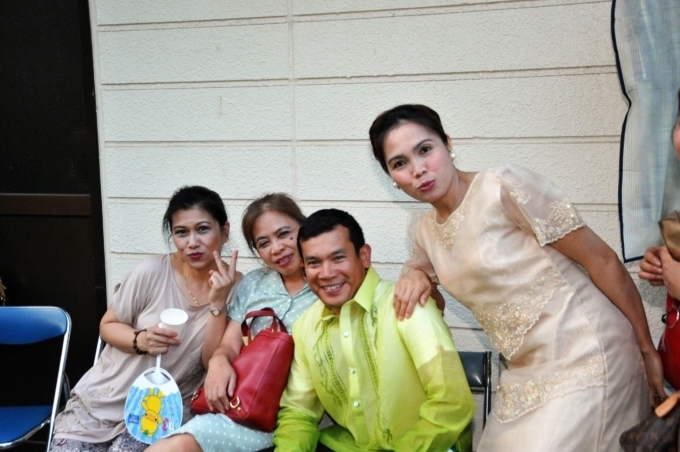 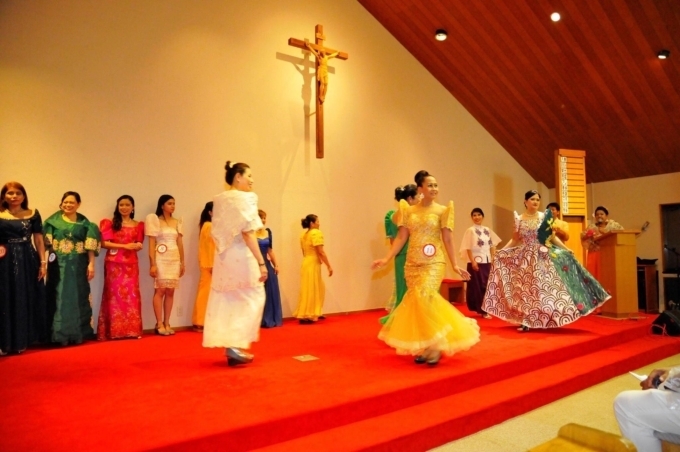 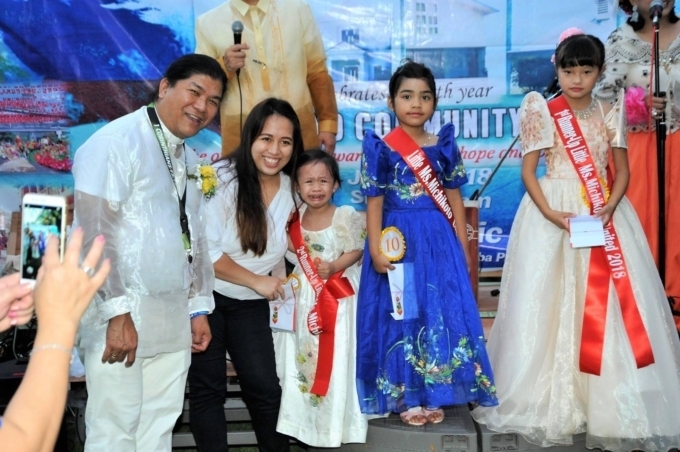 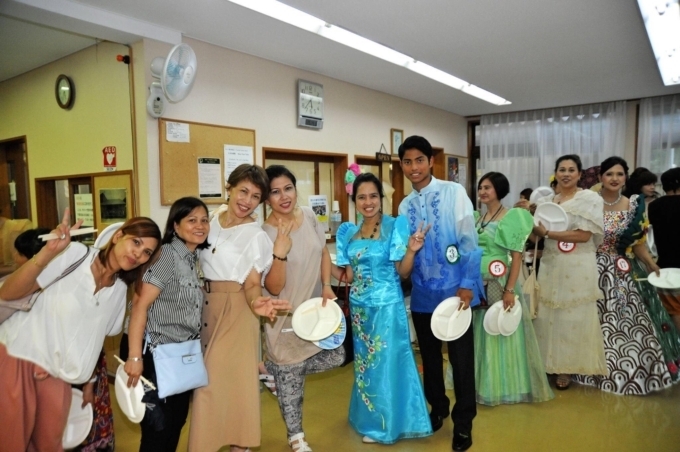 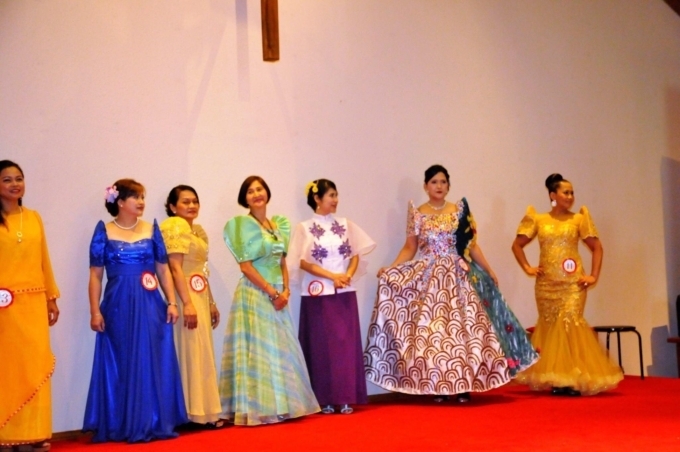 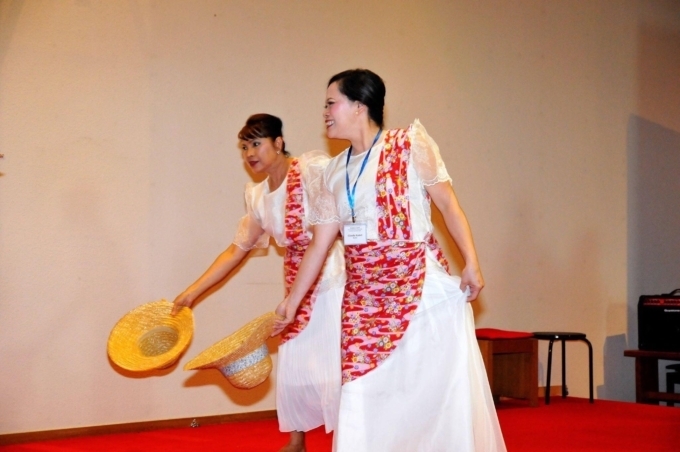 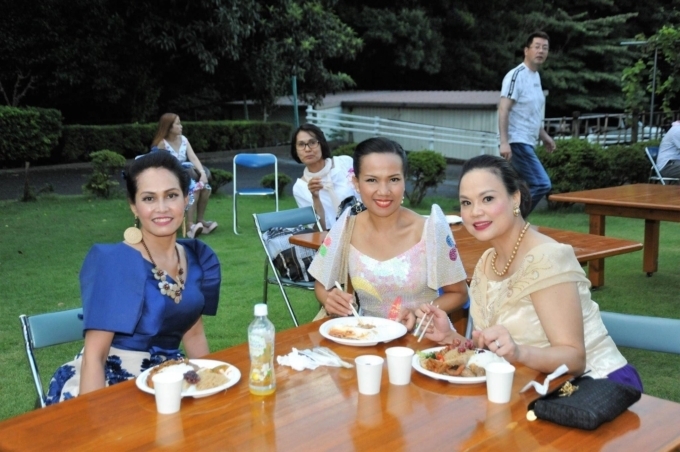 Modeling of Filipiniana and Barong contest also took place for children and adults simultaneously. 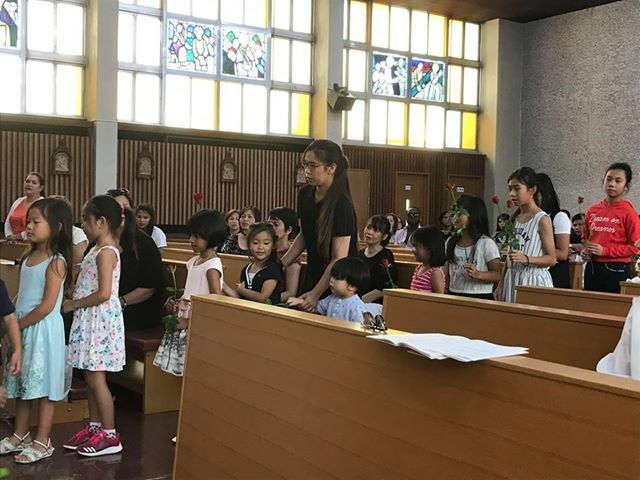 Part two was done outside the church which comprises of other song performances, drawing of raffle tickets while enjoying the early dinner buffet. 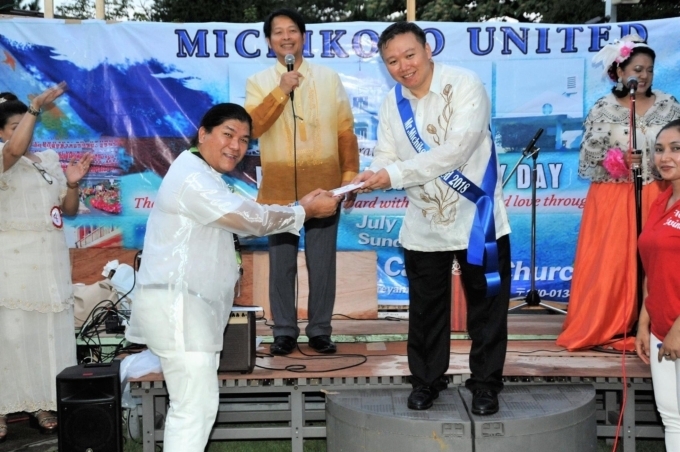 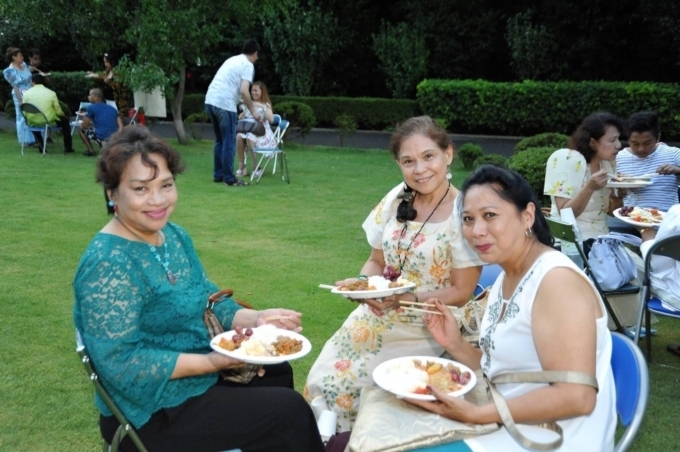 It was another successful celebration of the Michikoto United. 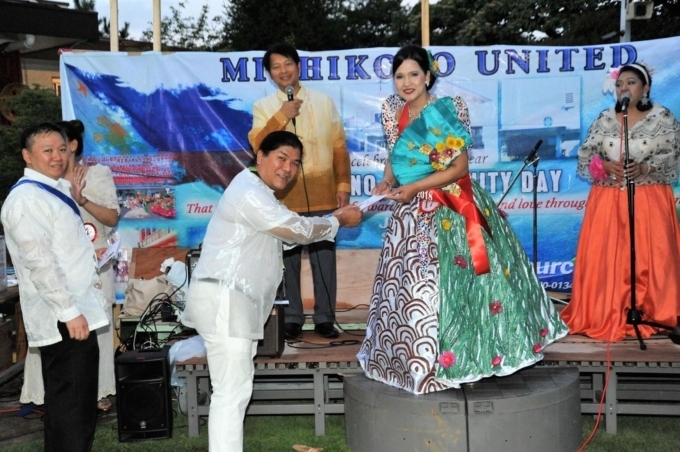 Congratulations to Toyoshiki Community as the host and also to the Michikoto United Core group. 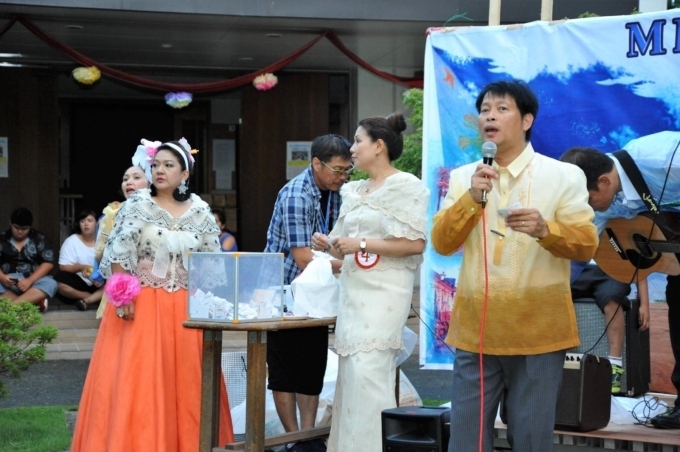 This is also a charity event of the group and portions of the raffle proceeds will go to the CFC-Gawad Kalinga Cornerstone as our support to their educational program for less fortunate children and also to the Sta. 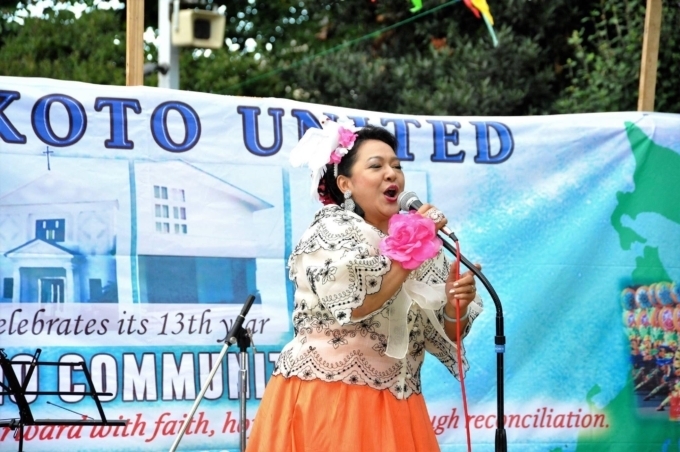 Rita Church in support to their on-going church renovation. 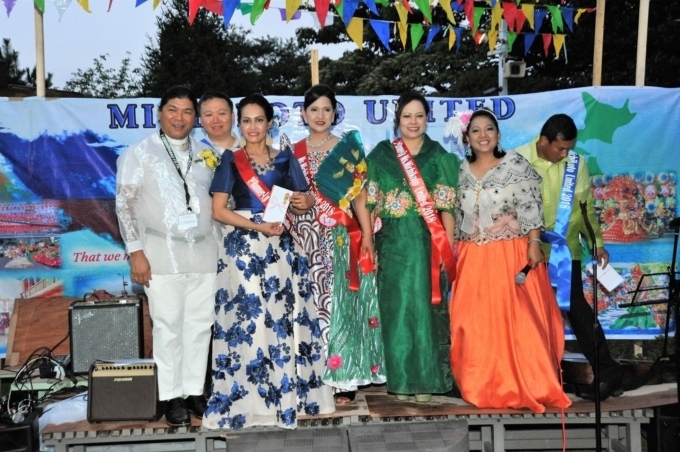 We would like to thank all our sponsors, donors and volunteers who made this event a success. 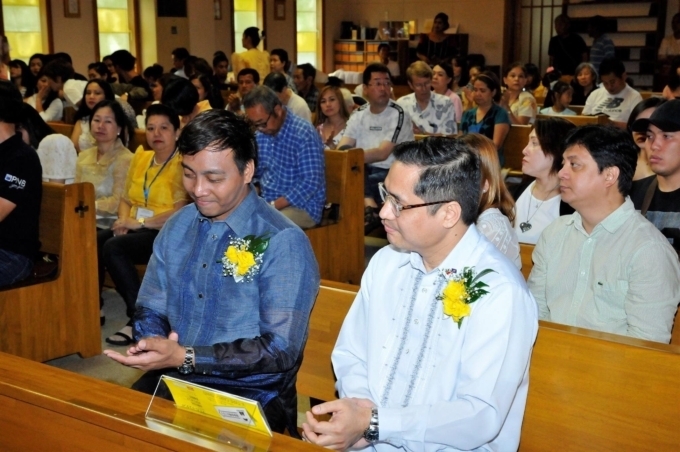 May we all be guided and blessed always.